Here in Australia and New Zealand we observe ANZAC Day every 25th April. It is a chance to reflect on war and sacrifice, and thank those who serve our country. Sometimes it's a bit too easy to get caught up on the machines and equipment when modelling military subjects, and it is easy to forget the gruesome reality that most of what we build are weapons expressly designed to kill and maim human beings. It's good to take a moment to remember that now and then. For information on ANZAC Day - Wikipedia article here. Here is an astounding model in the Te Papa museum in Wellington, New Zealand. 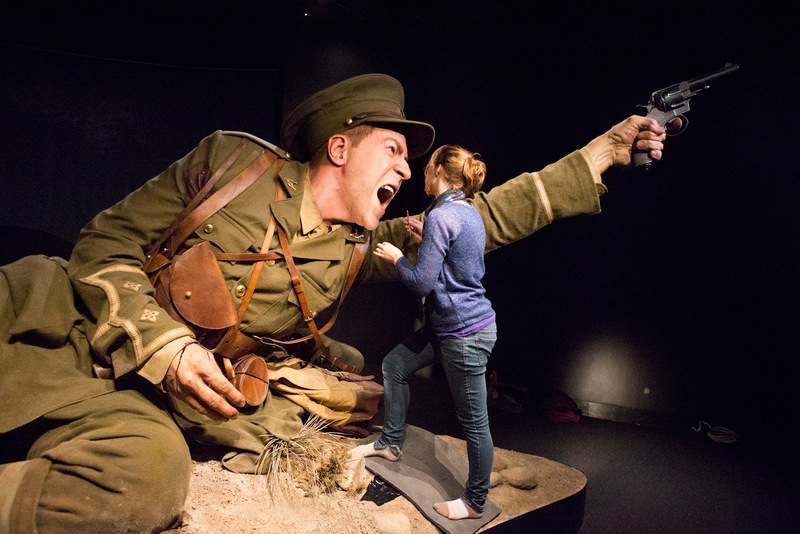 It is from an exhibition commemorating New Zealand's involvement in World War I. The figures are 2.4 times normal human size (so that scale would be 2.4/1) and were built by Weta Workshops, a company which also worked on Peter Jackson's Middle Earth films. Truly outstanding modelling.